Before the advent of music-suggestion services like Pandora or Last.fm, the best way to find new music was to consult with the foggy-eyed clerk at your local record store. Now that independent record stores have been all but written off as extinguished, it’s kindling like Record Store Day—this year on April 21—that keeps the fire alive. Record Store Day is where over 700 participating independent record stores around the country—including Graywhale Entertainment, Raunch Records and more in Salt Lake City—sell exclusive and limited releases. With remastered licks such as Little Richard’s Here’s Little Richard and whatever Jimmy Fallon’s Tebowie/Reading Rainbow 7-inch turns out to be, 2012’s event will be a steamy love note to music aficionados, obscurity collectors and, above all, record stores. In 2011, physical-format music was outsold by digital music for the first time, thanks to download services like industry juggernaut iTunes. Record stores have been fighting an uphill battle against the ease of online shopping, but with the second renaissance of the vinyl LP came a second wind to the local shops that were all but counted out. Yes, it may be too easy to drain the rent money on the entire Beatles collection online, but it turns out people are not always satisfied with an intangible purchase. Record Store Day celebration is about being a part of a community that supports music—and, you know, interacting with other people. Without these record stores, buying music degenerates to people watching a download progress bar or waiting for the mailman. 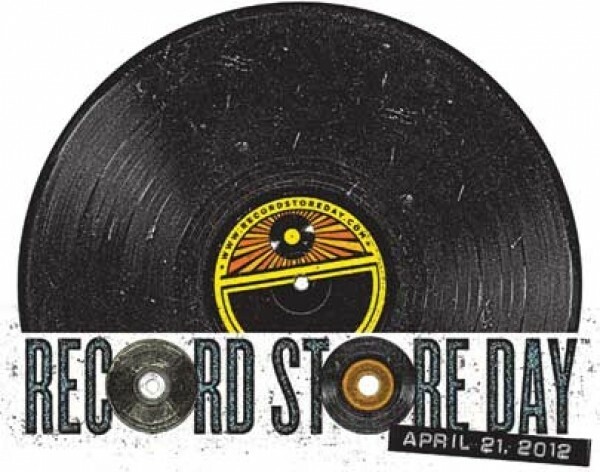 It may be the feeling of finding a gem in the folds of the vinyl bargain bin or talking notes with a fellow musician, but record stores have a purpose, and this special day is meant to remind people what it is to them. These stores run on community love and passionate staff, like Randy’s Record Shop clerk Chris Copelin. “It’s about finding that connection with people and speaking of similar interest, and then giving them something that they totally wouldn’t expect,” Copelin says. The University of Utah Graywhale location will kick off the day with a 7 a.m. pancake cook-off hosted by KCRL’s Bad Brad Wheeler, which leads into an early 8 a.m. opening for Killer Whale members (8:30 a.m. for everyone else). A local-artist showcase will run throughout the day. At the Taylorsville location, Rise Against will be doing a meet-and-greet beginning at 6 p.m.; the first 100 people will get an exclusive art print. Then, at 6 p.m., the Sandy location will host a SLUG Magazine’s metal showcase. All locations’ shelves will be stacked with exclusives from the Black Keys, M83, Ryan Adams and more. Graywhale is offering a 20 percent discount off new and used vinyl. Raunch Records will feature live music (see below) and special items for the day, including a limited-edition T-shirt designed by local artist Brandon Voeller, as well as some albums courtesy of local bands like House of Cards, Hate X 9 and Victims Willing, plus even more recordings from the old Raunch/Positively Fourth Street building, circa 1993. Randy’s is keeping it simple with no live shows, but in their stead are stockpiles of records. Technically, the Heavy Metal Shop won’t be celebrating Record Store Day, because it’s hosting a pre-25th anniversary party set for April 18 (the shop’s official 25th anniversary will be in June). We’ll let it slide under the banner of Record Store Day because, well, two days of partying is better than one. The festivities are set to go off at 6 p.m. and will rock as much as possible before ending at 7 p.m.